In addition to anime and manga releases, I also try to acquire soundtracks for anime series that has music that I really enjoy. This year, I managed to score three more for the Naruto franchise. 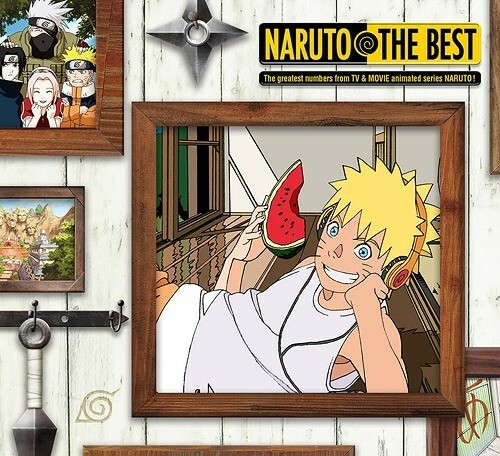 This 14 track CD includes some of the opening and ending themes of the Naruto Shippuden anime series, as well as the ending themes for The Last: Naruto The Movie and Boruto – Naruto The Movie-. It’s a good CD for a collection of theme songs, especially since they are being sequenced onto the disc chronologically. Unfortunately, we’ve reached a point in the series where whoever was in charge of deciding on the opening and ending themes decided to put a lot of focus on uptempo rock numbers. Because of this, there can a feeling of “sameness” as you listen to the disc. But if you know this going into listening to it, that should make it an easier listen. This is a 22-track CD that includes 20 pieces of background instrumental score from the first Naruto anime, as well as the series’ first opening theme and first ending theme. Overall, Naruto Original Soundtrack is a fantastic release, especially for listeners who have an appreciation for score music. While I personally thought including the first opening and ending theme really wasn’t needed, they ultimately don’t have a negative effect on this release. This 28-track CD contains background instrumental score from the Naruto Shippuden anime series. Overall, I really liked Naruto Shippuden Original Soundtrack. The only negative things I have to say have to do with the sequencing of the tracks near the end of the CD, and the inclusion of the suite. I honestly don’t recognize the suite as actually ever appearing in the anime, and I’m not really convinced that the inclusion of the piece was necessary. Outside of those two complaints, though, it is a good soundtrack of background score instrumentals.